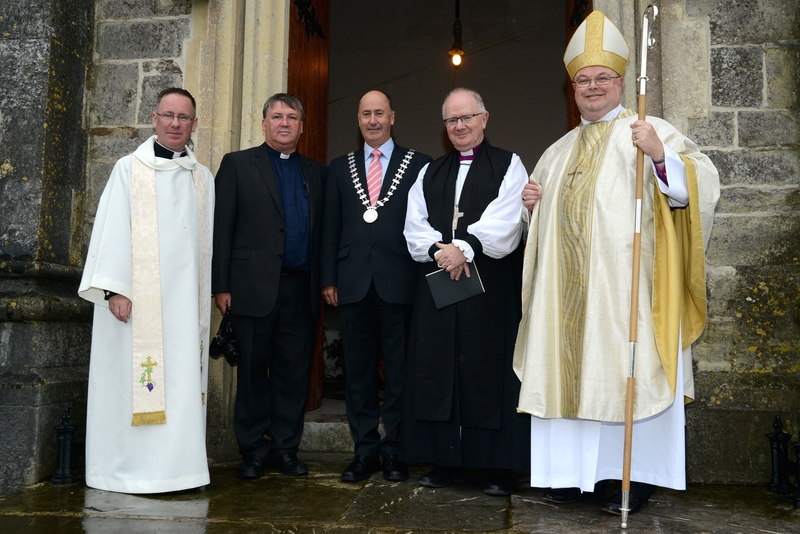 On Sunday, 5th October the parishioners of Bandon and the Bishop of Cork were joined by friends from around the Diocese, ecumenical guests, civic leaders and also the Archbishop of Armagh to celebrate 400 years of worship on the present Church of Ireland church site at Ballymodan in the town. 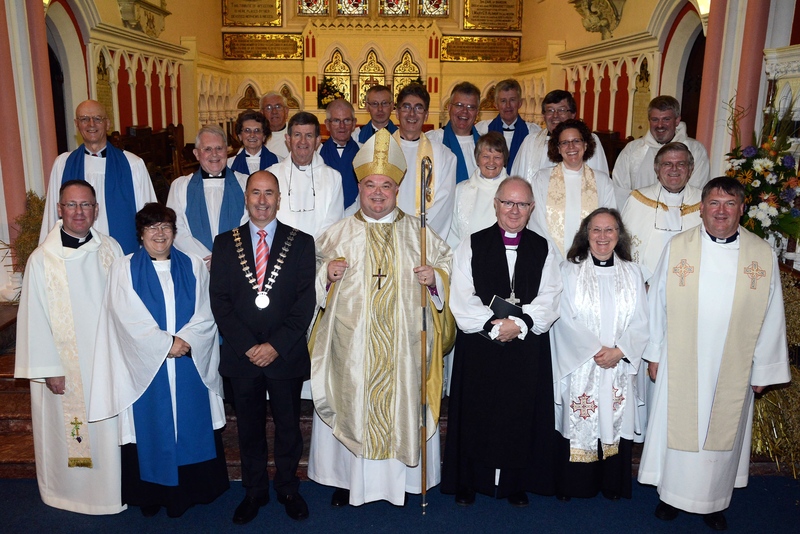 The Most Reverend Dr Richard Clarke, a former rector of the Parish, was invited by the Bishop of Cork, Dr Paul Colton and the Rector of Bandon, the Reverend Denis MacCarthy to return to preach on this occasion of celebration. The Bishop presided at the Eucharist. 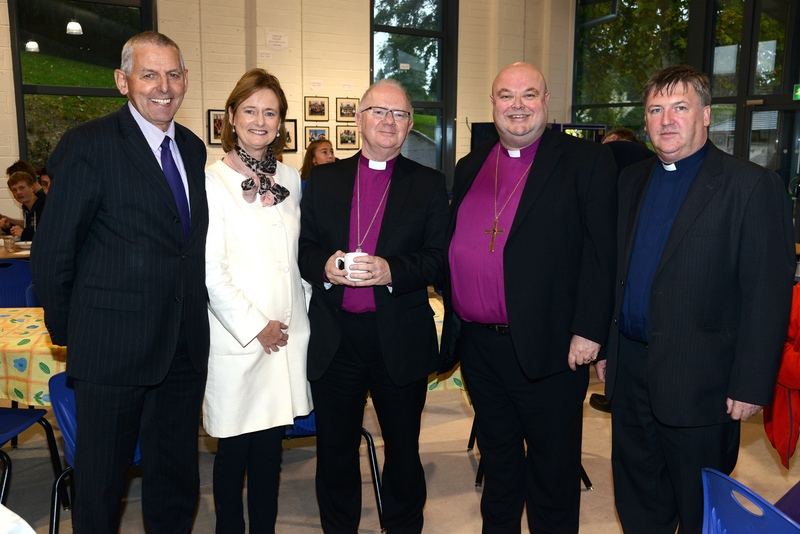 The congregation was joined by representatives of other churches in the town, by the Mayor of Cork County, Cllr Alan Coleman, County Councillors, local TDs, Deirdre Clune, MEP, and representatives of An Garda Síochána, schools and voluntary groups. The liturgy included a broad repertoire of music for the occasion from the children’s choir, the choir, and soloists conducted by Colin Nicholls with Antoinette Baker as organist. 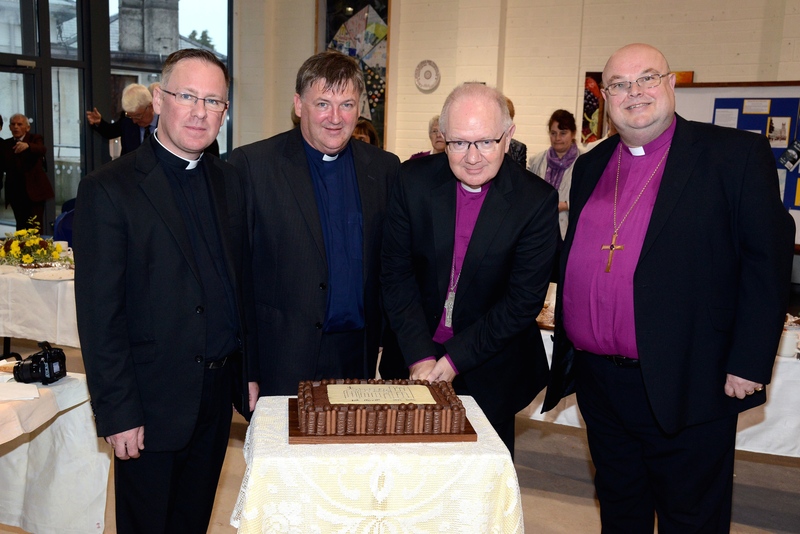 After the Service, hospitality was extended to everyone at Bandon Grammar School where the Archbishop was presented with a gift and asked to cut a cake. This entry was posted in Anniversaries, Church of Ireland, Church Services, Diocese, Parish News, Special Events. Bookmark the permalink.